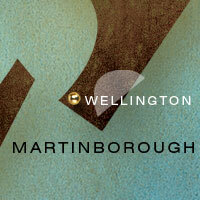 Martinborough is an idyllic region of New Zealand, with its Pinot Noir production so successful, that is is known as its flagship variety, many equate it to Burgundian in style. Its cool climate allows a diverse range of varietals to be grown, tended, then carefully coaxed into award-winning wines. Dry River Wines, Escarpment and Nga Waka are only a few of the many outstanding wineries in the region, and Craggy Range’s Te Muna Road Vineyard is located 7km outside the Martinborough township. Scenic Martinborough is a 'must visit' destination for wine and food lover's alike. If you can't get there in person, then have a look at the wines they have - each one will demonstrate the unique Martinborough terroir from whence they came.